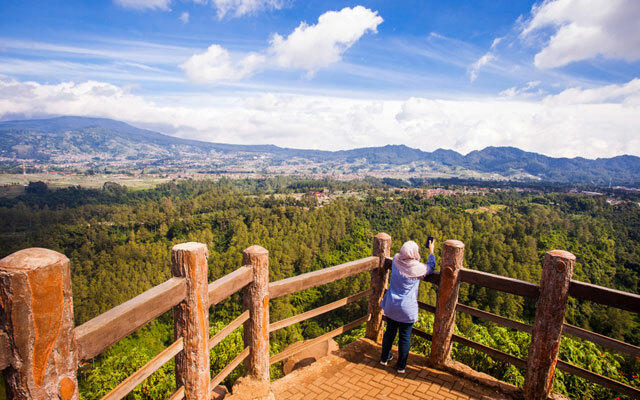 Sixteen destinations in Indonesia – from Aceh to South Sulawesi – have shown a stronger commitment to developing Muslim-friendly tourism as the country seeks to double the number of Muslim travellers from last year. At the Wonderful Indonesia Halal Tourism Meeting and Conference 2019 in Jakarta on April 9, representatives from 16 cities and provinces signed MoUs with Ni Wayan Giri Adnyani (Giri), the deputy of industry development, Indonesia Ministry of Tourism. These destinations are West and Central Java, Yogyakarta, Greater Malang, South Sulawesi, Tanjung Pinang, Pekanbaru, Bandung (City, Regency and West Bandung) and Cianjur. They joined five destinations which have been named Muslim-friendly earlier, Lombok, Aceh, Riau, Jakarta and West Sumatera. Giri said that the government’s target was to attract five million Muslim foreign tourists this year, up by 48 per cent from 2.6 million last year. Stoking confidence are increased promotions, the implementation of the Indonesia Muslim Travel Index (IMTI) for the second time this year, and the country clinching top spot as the world’s best halal tourist destination in the 2019 Mastercard-CrescentRating’s Global Muslim Travel Index (GMTI). In Indonesia, Lombok was named the best Muslim-friendly tourist destination in the IMTI followed by Aceh, Riau and Riau Islands, Jakarta and West Sumatra. Lombok has been “very committed” to prioritising the Muslim market. “They have done a lot of work in term of educating people in the industry. They also have done outreach programmes to promote Muslim-friendly tourist destinations,” explained Fazal Bahardeen, the CEO of CrescentRating and HalalTrip, which released the index. He said that his company made the assessment in July and December last year and January this year with three key measures, namely access, environment and service. Access comprises visa requirements, air connectivity, transport infrastructure, and communication. The environment indicator is a measurement of safety and culture, while service relates to halal food and Muslim-friendly hotel and airports. Bahardeen said that he had seen a lot of improvement in infrastructure in Indonesia, which resulted in better connectivity. He hoped that the top position that Indonesia already got would motivate the government and business players in the tourism industry to stay consistent in developing its Muslim-friendly tourist destinations across the archipelago.